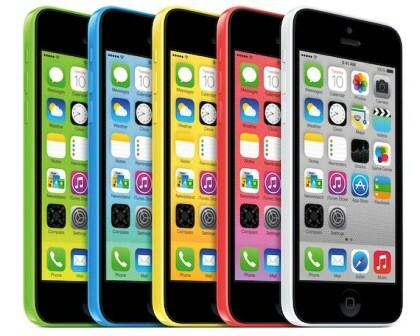 Apple is preparing to launch its new iPhone model, the iPhone 5C. To be released in various shiny colors to to match everyone's taste. Covered with plastic, making it light and sleek to touch. After all the rumors about iPhone 5C being a cheap alternative to iPhone 5, well, the rumors are true, but not as much as we expect so far. Still, iPhone 5C will hit the stores soon, with feature packed release. For instance, the iSight camera which is also featured on iPhone 5S, the 4-inch retina display, A6 chip, and 8 Megapixel camera. The iPhone 5C will also be released with iOS7 pre-installed, and bundled with FaceTime HD for superior video calls and glamorous feat. Similar design to iPhone 5, but with extra factor in terms of design and colors to choose from. The iPhone 5C is the first in the world to support 13 different LTE wireless bands, which means it can support almost all LTE networks in the world. With the power of LTE, you can enjoy 100mbps download speed, and 50mbps upload speed max. The iPhone 5C also supports FaceTime HD audio only, its like having a free call anytime, as long your connected to the internet, you can always enjoy the free things iPhone 5C can offer. The iPhone 5C will be release September 20, 2013 which you can have a pre-order on September 13, 2013 in Singapore, and Hong Kong. iPhone 5C will be released in the Philippines on December 2013 with no exact date. iPhone 5C 16GB will be priced at HK$4,688 in Hong Kong, and iPhone 5C 32GB will be priced at HK$5,688 also in Hong Kong.